Bumped into this shop front on Granby Street, Leicester. 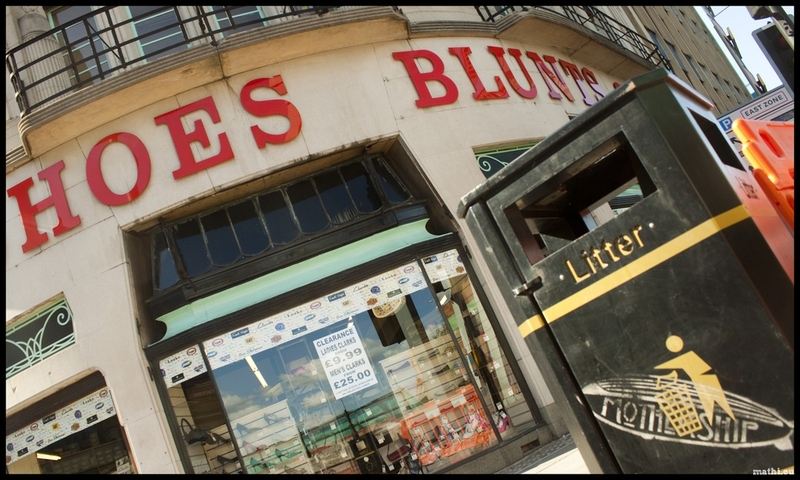 It’s a shoe shop called Blunts Shoes. Sweet. Almost as cool as the Stay Fly Swagger shop in Atlanta. Hoes & Blunts? Who needs more?